Three Best-Selling Yoga Books for Body-Mind-Spirit with Video Tutorials! * * * * * "THESE SERIES OF BOOKS ARE GREAT." - Amazon Review. Free Read on Kindle Unlimited/Prime! 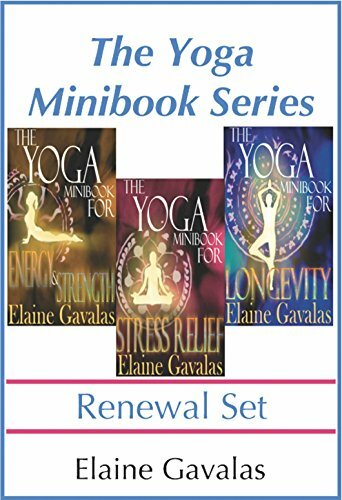 THE YOGA MINIBOOK SERIES RENEWAL SET features three best-selling books: The Yoga Minibook for Energy and Strength, The Yoga Minibook for Stress Relief and The Yoga Minibook for Longevity. This much anticipated Bargain Boxset includes updated bonus extras like Elaine's yoga video tutorials and latest yoga research articles. I really enjoy this book and the other 3 (or 4) in the same series. They are nice groupings of poses that compliment each other and many of the routines take about 10-15 minutes to complete. So if you are pressed for time, or need/ want to target a certain body part for stretching or relief, these series of books are great." 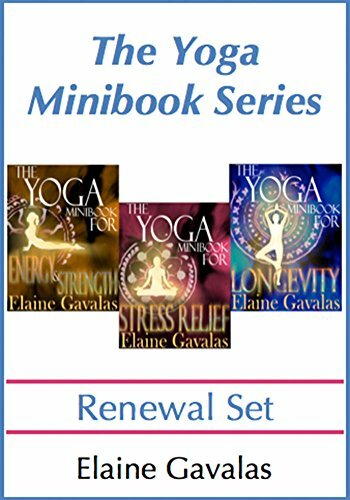 The New, Expanded Edition of THE YOGA MINIBOOK FOR ENERGY AND STRENGTH contains exclusive bonus extras including Elaine's Yoga for Energy and Strength Articles and Video Tutorials. With chapters on yoga for your body type, yoga for strength, yoga for energy, chakra yoga, and yoga to relieve fatigue, you can create routines tailored to your needs.